Earlier this year, I had the honor of interviewing a truly gifted composer and electronic musician of our modern era. Currently based out of Los Angles, California, Fran Dominguez a.k.a. Forest Robots has spent a lifetime perfecting his craft that he fell in love with at an early age. Usually when we hear about the escapades of electronic music, our minds become bombarded with thoughts of outdated gadgetry. Forest Robots, however, has taken electronic music to another level by making it organic and a tool to help us feel the world of nature that surrounds us in his new album SuperMoon Moonlight Part One. SuperMoon Moonlight Part One is a full-length album of ten tracks. The mood of the album is built with its opening selection. A Path Among The Woods is a melting pot of cerebral sounds that create an atmosphere perfect for reflection, much like our time spent with nature. Following A Path Among The Woods is the astronomical and starry Times When I Know You Watch The Sky. Its title is more than fitting, as the bright keyboard riff simulates the dancing light of stars above us. Forest Robots does and excellent job in maintaining the album’s continuity by maximizing the structure of its compositions and variations in instrumentation, as evident from tracks like the tantalizing Then The Spider Turned Into A Cloud. This tune possesses a very etheric backdrop that puts a nice accent on the track. Follow The Towers To The Moon completes the album. As the album’s lead single, Follow The Towers To The Moon comes with a cool video and attention-grabbing drum programming. This is definitely the way to end a brilliant album. 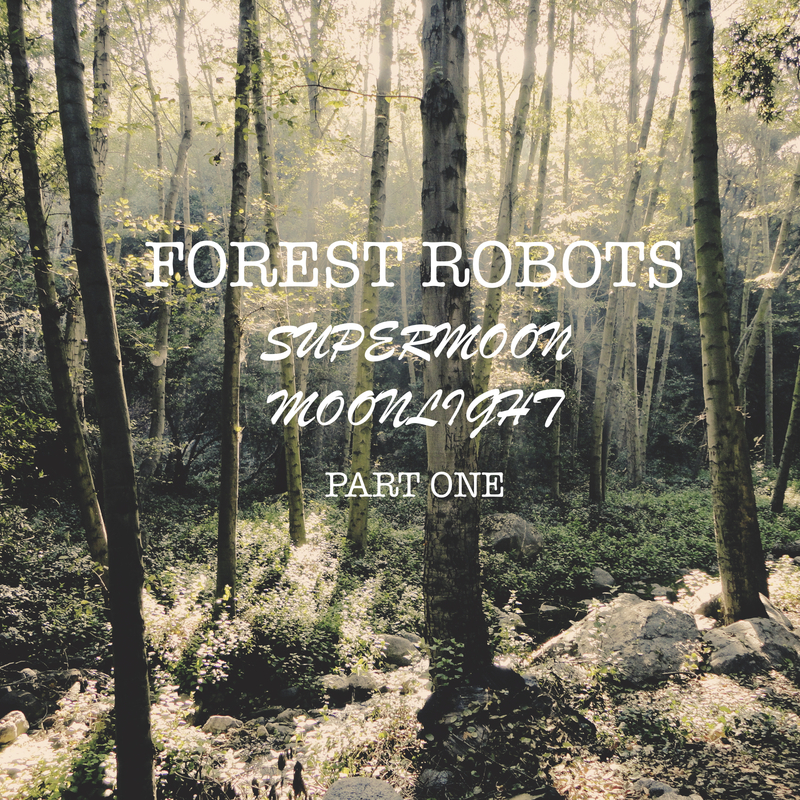 SuperMoon Moonlight Part One by Forest Robots is filled with musical gems and nostalgia. Robots does an excellent job in exploring nature through the guise of a futuristic landscape that is more than just a sunny day in the park. This is an album that will take you to a sonic oasis for life.